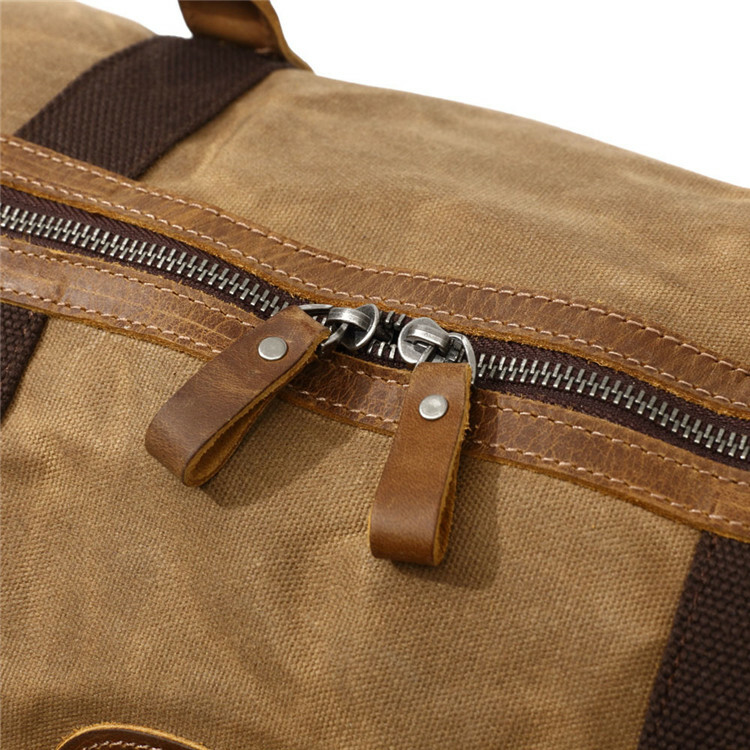 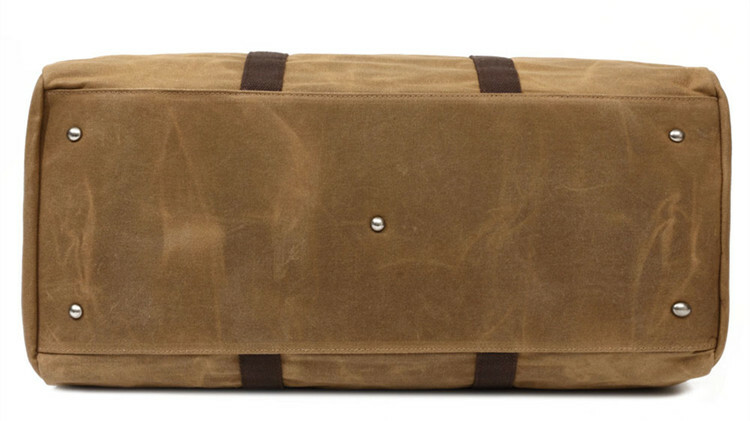 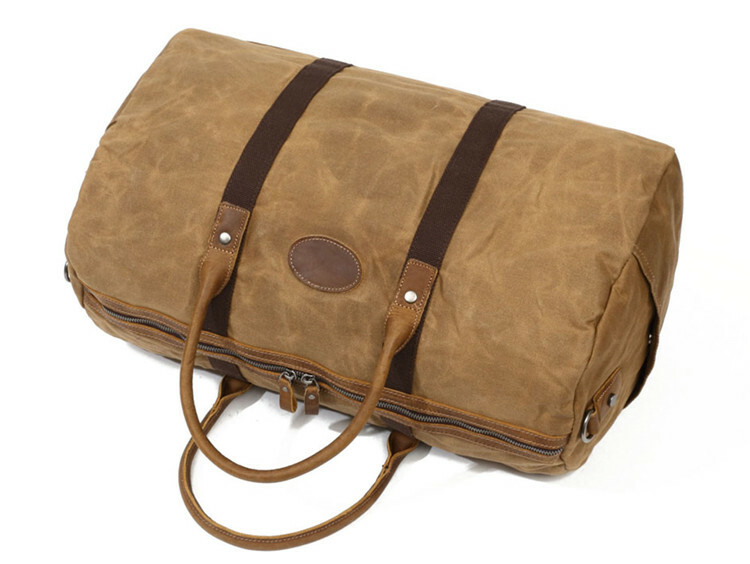 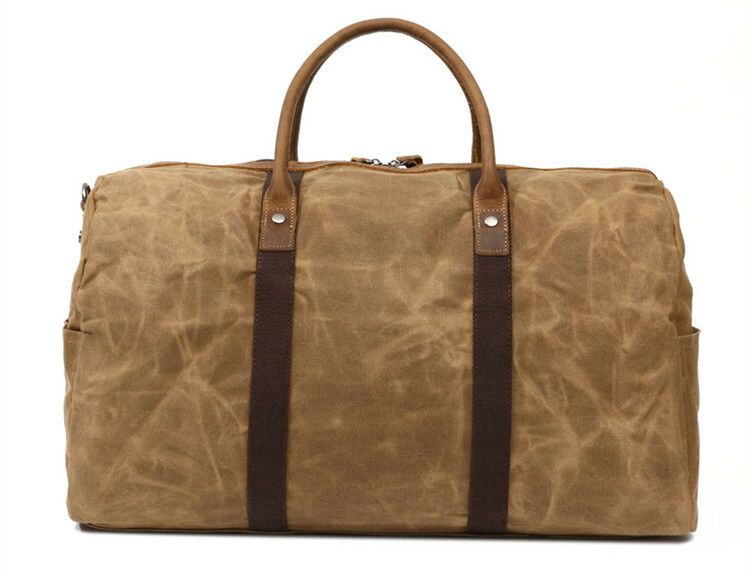 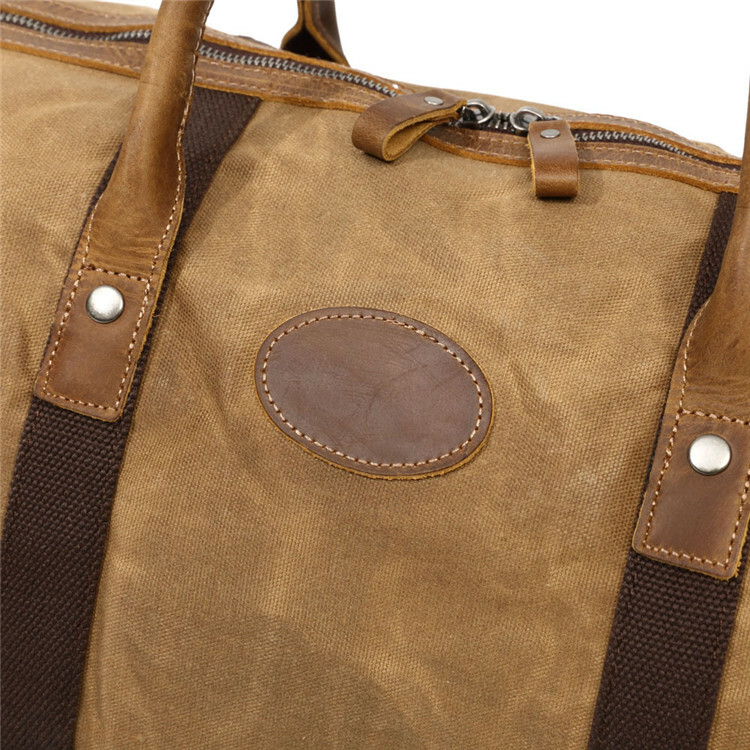 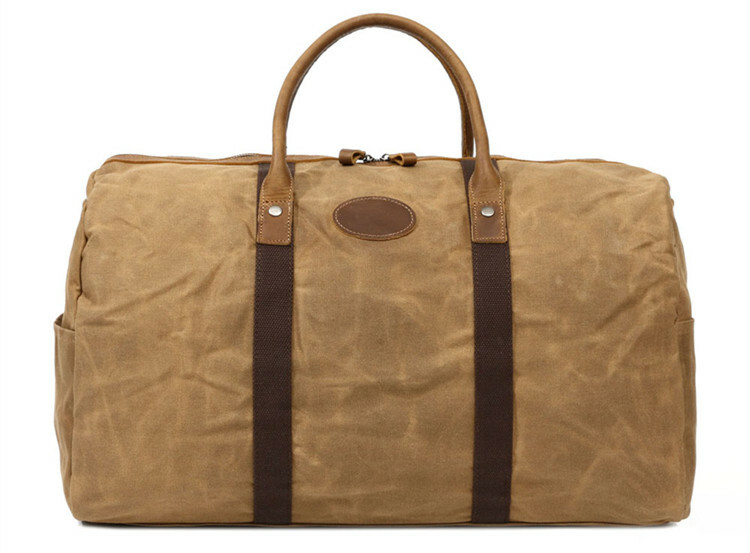 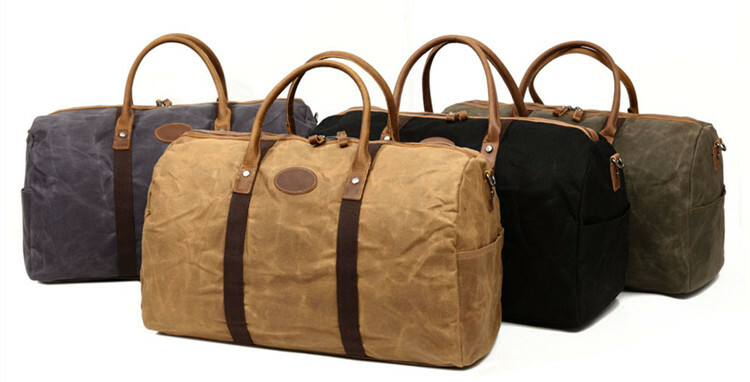 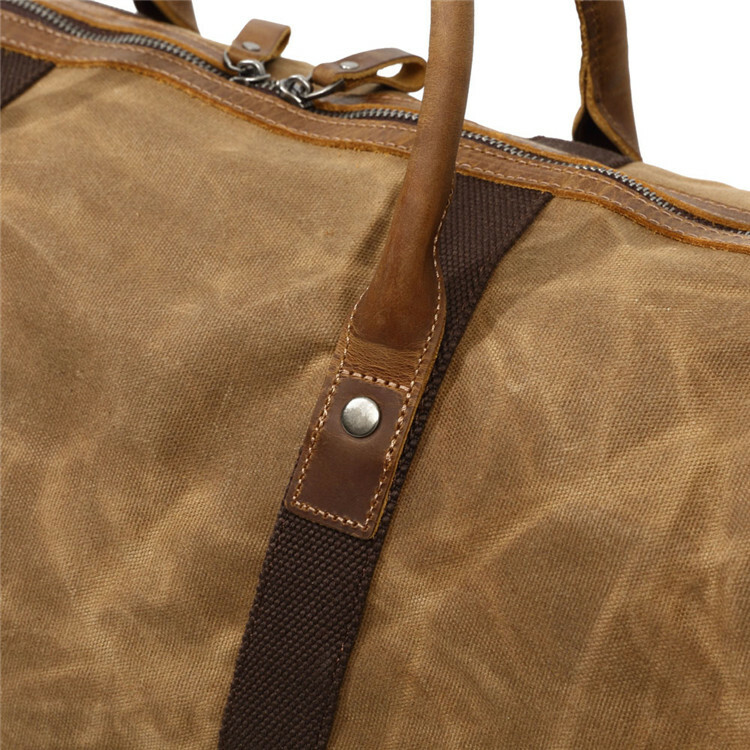 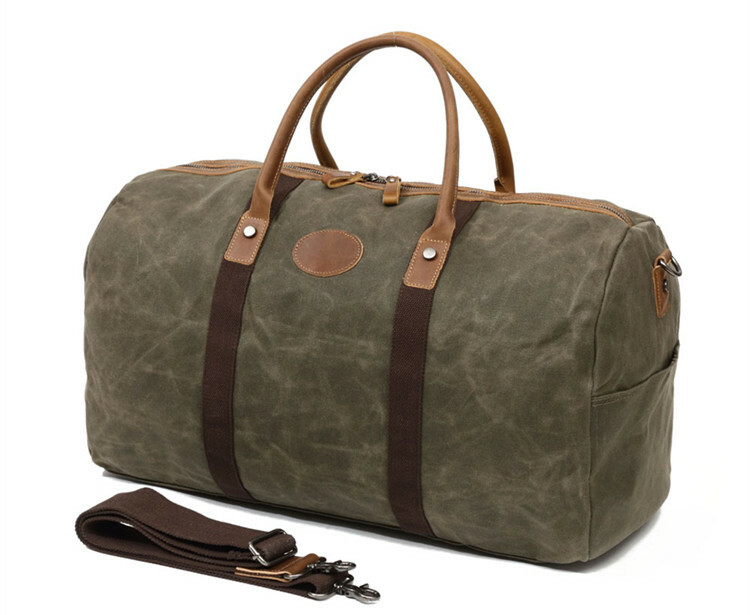 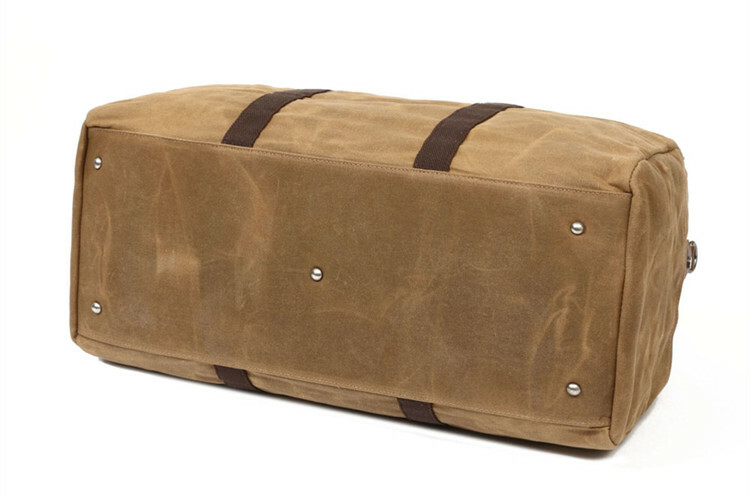 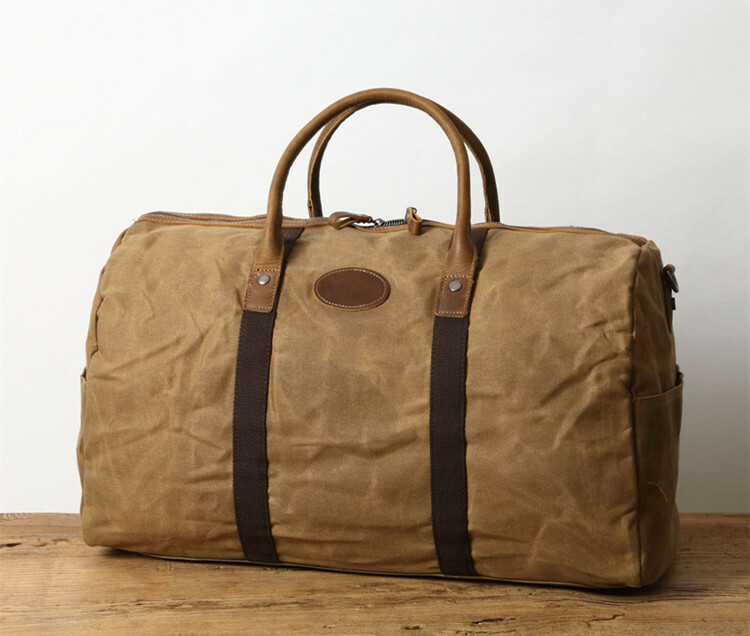 【Premium Genius Leather & High-density Canvas】This travel duffel bag is made of High-density water-resistant waxed canvas and superior cowhide crazy horse leather,the top quality hardware ensure long lasting durability.The high-density canvas won't rip or tear when you put a lot of things in the duffel tote. 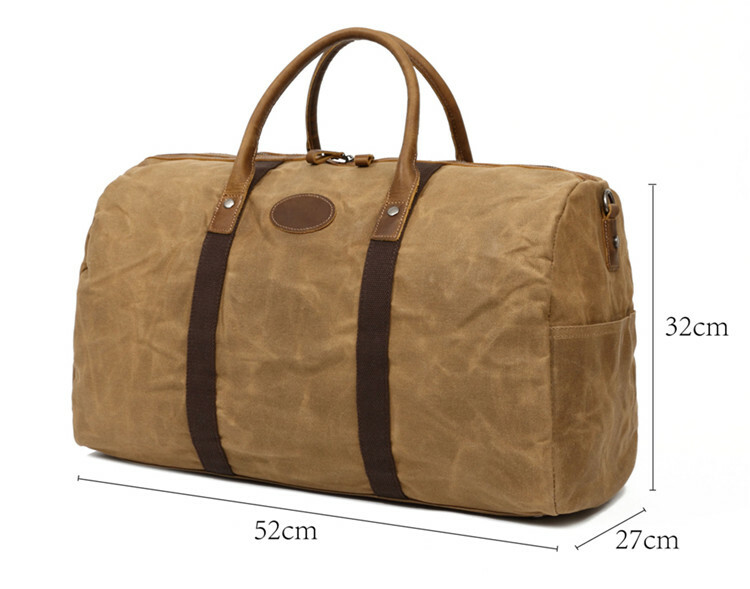 【Overlarge Size】You would be surprised at this tote bag’s size,the large main compartment and various inner pockets is perfect for all kinds of clothes,books and traveling necessities,this travel bag is suitable for 3-4 days weekender or business trip. 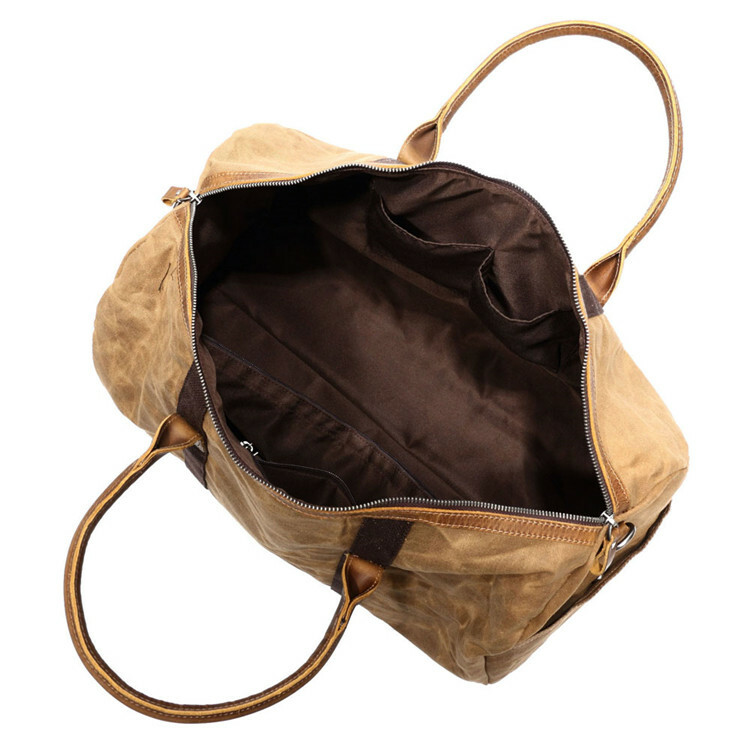 【Comfortable for Use】The handles are rounded which makes it comfortable as a carry on handbag,The bag also has a detachable wide adjustable canvas strap that can be used as a shoulder bag.The available size for the strap is from 27.9" to 52" which can be applied to different height and body’s type. 【Duffels Dimensions】This travel bag dimensions is 22.83"(L)x11.22"(W) x 11.8"(H) with Interior 1 large main compartment and 2 zipper pocket,2 small pockets for cell phone or coin.Exterior with 2 side magnetic button pockets. 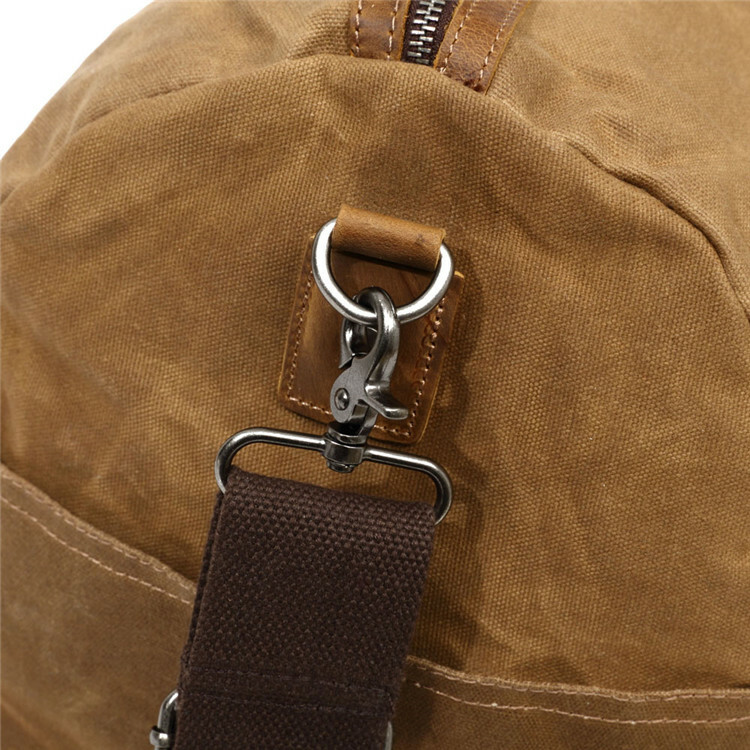 The Strap Width: 2.16''. 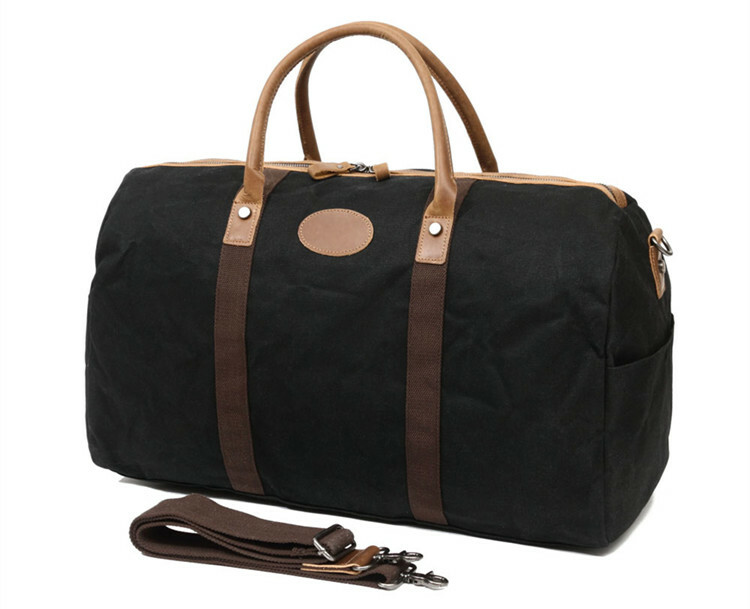 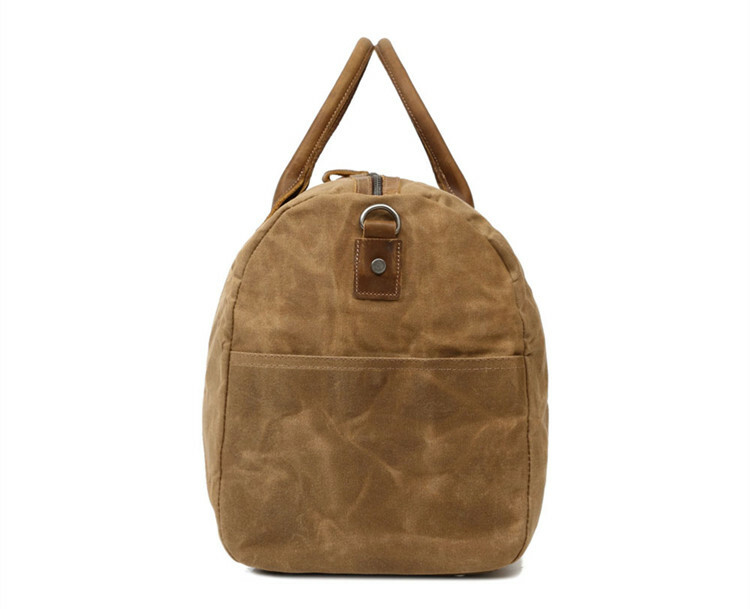 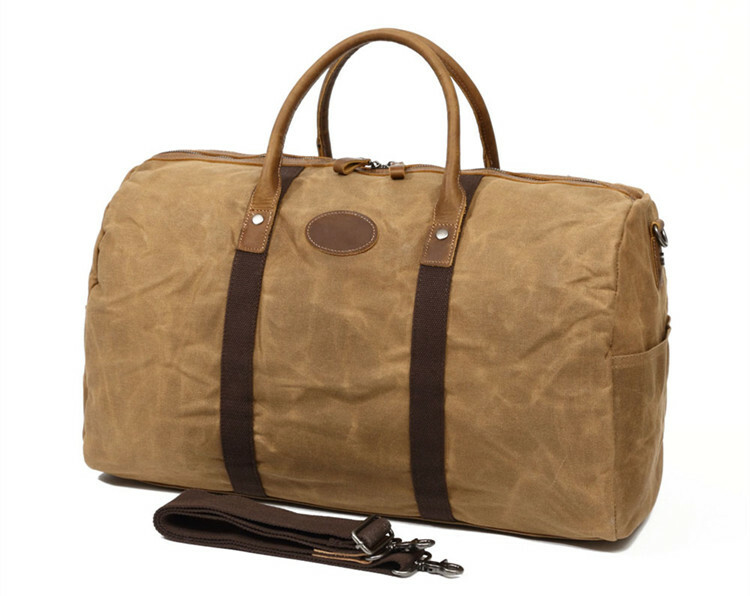 【Classic Style】This fashion duffel bag also fit for men and women,it’s perfect for the people who often go for business trip,traveling,camping and outdoor activities. 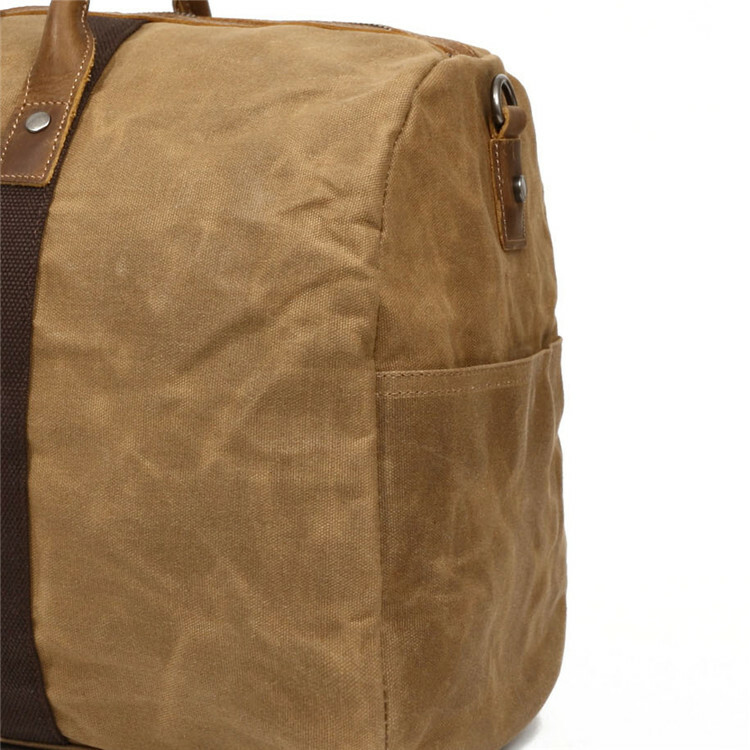 Vintage Waxed Canvas Leather Waterproof Travel Backpack School Bag 15.6"